As you know, the upcoming holiday season can be a joyous time of year but also semi-stressful at times. Planning parties, meals, and gifts can definitely take its toll on your schedule, health, and sanity. As your Visalia Dentist, we look out for our patients and our community. 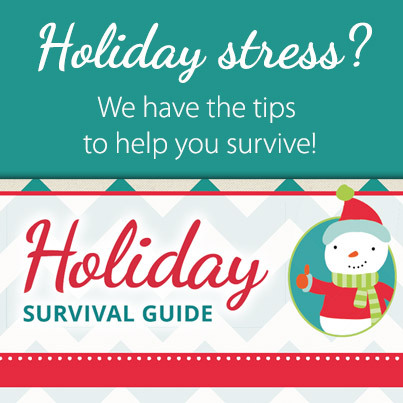 The Holiday Survival Guide is just another fun way to do that. Join the fun this season!